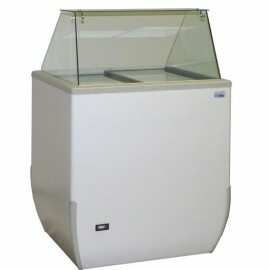 This 5 litre Polycarbonate Napoli Tub is great for the storage and service of soft scoop ice cream. 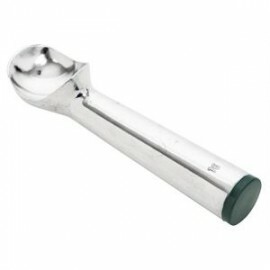 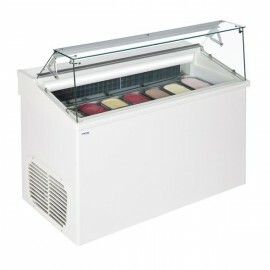 This can be used inside many ice cream display freezers and soft scoop display freezers. 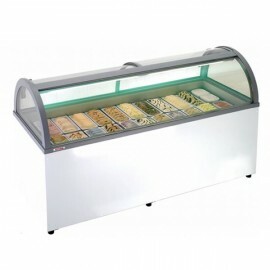 A high quality six pan ice cream display cabinet ideal for soft scoop sales. 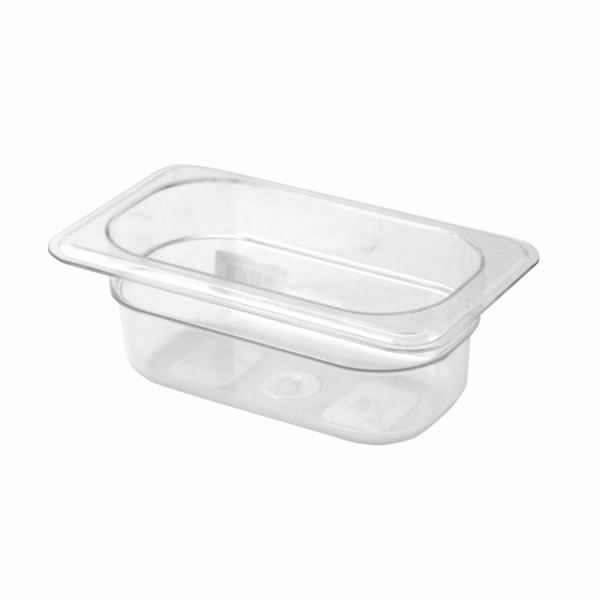 The unit has a flat gla.. 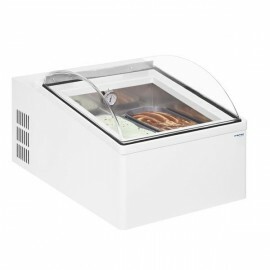 The Framec SLANT 510 soft scoop display unit has space for 10 x 5 litre Napoli pans and is only 1.34..
A compact counter top soft scoop ice cream display with capacity for two 5 litre Napoli pans. 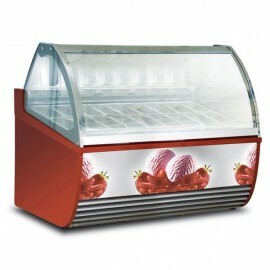 Ideal ..
A compact soft scoop ice cream display counter ideal for smaller establishments. 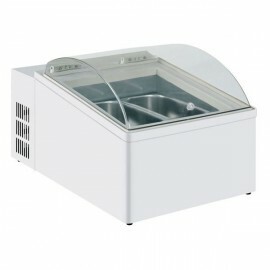 The unit hold four ..
A great value and attractive soft scoop ice cream display with capacity for six five litre Napoli pa..
A large capacity soft scoop ice cream display serve over available in three sizes. 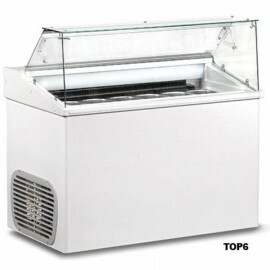 The unit has a cu.. 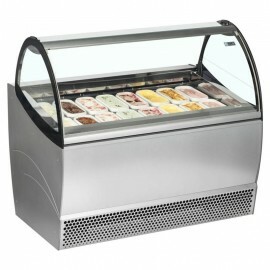 This great value counter top soft scoop display holds two flavours of ice cream and is ideal where s..
High quality ventilated soft scoop ice cream display designed for professional ice cream parlours. 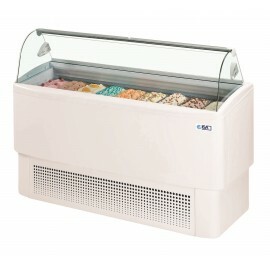 T..
A top quality soft scoop ice cream display with a display capacity of 7 x 5 litre Napoli pans. 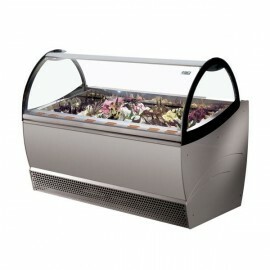 The u..
A fantastic seven pan soft scoop ice cream display. 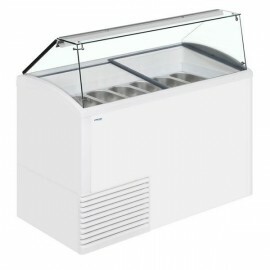 The unit comes complete with attractive flat gla..